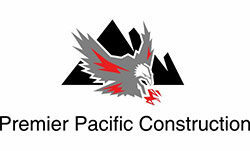 Premier Pacific Construction is a full service General Contractor headquartered in Poway, CA. We offer a full line of services in both residential and commercial construction. Improving your home or commercial property with energy efficient products such as windows and doors, solar energy, heating and air conditioning, insulation and roofing products. This will improve the comfort inside your home and lower your energy bills. We also offer water-tolerant landscaping to reduce your water needs. We will provide a full, No Cost, No Obligation home inspection aimed at creating a scope of work that identifies the specific needs of your home to achieve the energy efficiency of the 21 century. Though the use of the close relationships PPC has built with the San Diego real estate broker community we have the unique ability to assess the value of your home and to create a loan program at the current super-low interest rate and great terms. This is your hedge against the rising tide of interest rates in the credit industry. Call Premier Pacific Construction now and lock in the low rates that will provide you current and future energy costs savings.